For today's post, I prepared a tri-fold card with a bookmark. 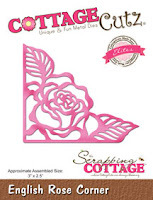 I used a part of the new release of CottageCutz dies - This N That. white card base: 12.75 x 5.5", folded at 4.25 and 8.5"
white cardstock: 3.7 x 5"
Fold the card base 2 times. 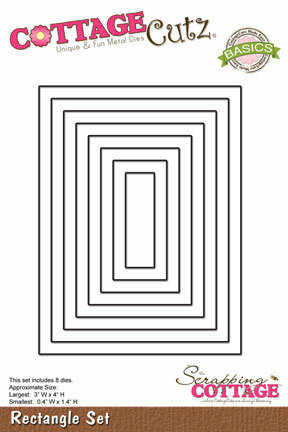 With the largest die from rectangle set, cut corners on one side of the card base. 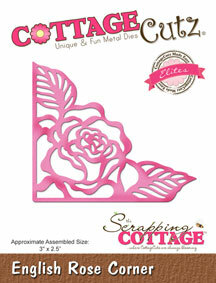 Cut out the patterned paper and roses with the dies: English Rose Corner and Victorian Rose Vine. First make the interior of the card. The best way to cut the flap from patterned paper is if it is placed on a white card base and draw edge. Repeat the process on the outer side of the card. 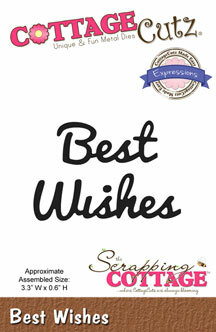 Cut out words - best wishes, and attach it together with the rose corner to the card. For closing the card use self adhesive round pads. On is covered with tiny loops and the other with tiny flexible hooks. As a small attention we add a bookmark in the pocket. 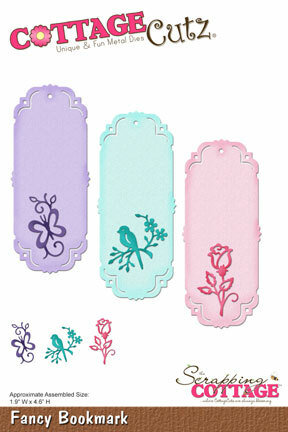 Cut it out of pearly paper with the die Fancy Bookmark and decorate it. Insert the rope and add wooden beads. 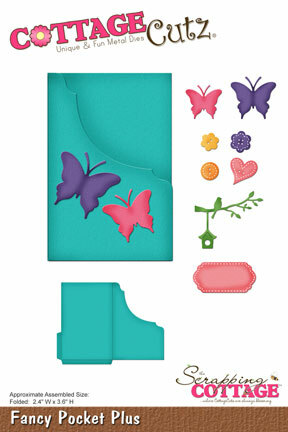 We decorate same way the pocket for the bookmark, which was cut out from the patterned paper with the Fancy pocket plus die. 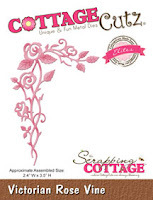 CottageCutz challenge #3 - pocket. I've never seen a card base like this, and am happy you showed us how. I love the little set you've made!